Gibson, J.F., Slatosky, A.D., Malfi, R.L., Rooulston, T., & Davis, S.E. 2014. Eclosion of physocephala tibialis (Say) (Diptera): Conopidae) from a Bombus (Apidae: Hymenoptera) host: A video record J. ent. Soc. Ont. Volume 145: 49-58. 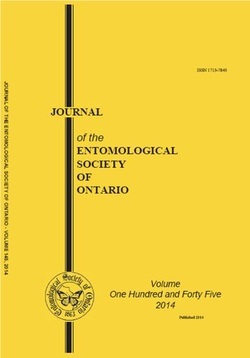 Some members of Conopidae and other families of flies require development within hymenopteran hosts. 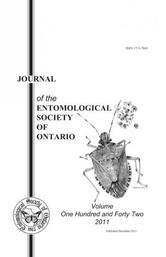 Rearing of parasitized Apoidea provides valuable life history and ecological data but is rarely documented. Greater emphasis on gathering and analyzing rearing data is required. 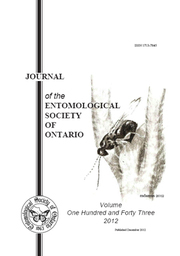 Analysis of a new video record of Physocephala tibialis (Say) reared from Bombus impatiens Cresson provides detailed evidence of the use of the ptilinum, mouthparts, and legs for eclosion within Conopidae. 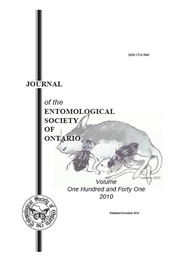 The previous literature on Conopidae/Apoidea rearing is reviewed. Below is a short video depicting P. tibialis (Say) emerging from Bombas imatiens Cresson. To download this video (MPEG-4) click HERE.